Less than 24 hours after a preliminary Veterans Affairs Inspector General report showed that not only was there widespread misconduct and excruciatingly long wait times at hospitals for veterans, but that the problem is worse than first reported, White House Press Secretary Jay Carney said President Obama will wait for a broader review before making any further personnel decisions about the VA, specifically when it comes to VA Secretary Eric Shinseki. Shinseki has been asked to resign by Republicans, Democrats and a number of veterans groups, including the American Legion. "I'm not going to speculate about personnel [at the VA]," Carney said. When asked if the President still had full confidence in Shinseki Carney refused to answer with a yes or no, but reminded reporters the Secretary has been put on probation. "The President believes and is confidence Secretary Shinseki has heroically served his country as a solider," Carney said. 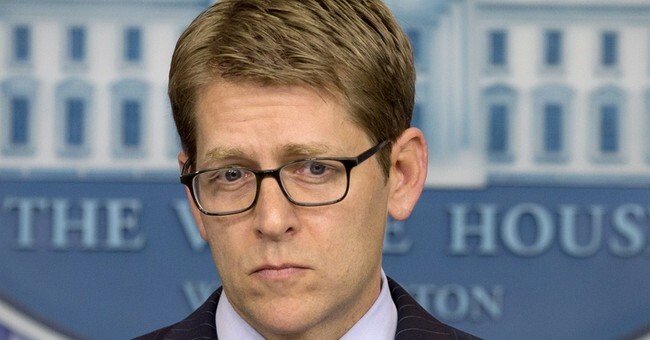 On the issue of accountability, Carney stressed that President Obama is committed to accountability if in fact allegations of misconduct are proven to be true. Again, allegations were proven true yesterday through an Inspector General report.